Because of its size Gulfport has been able to attract numerous events, such as the World’s Largest Fishing Rodeo, Cruisin’ the Coast (antique car show), and Smokin’ the Sound (boat race). The 2010 Census reports that Gulfport has 67,793 people inside the City limits. 56.86% are white and 36.07% are of African American descent. The median income of Gulfport residents is $32,779.00. 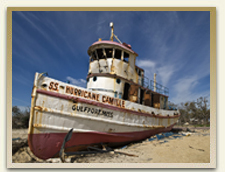 Gulfport was devastated by Hurricane Camille in 1968 and then by Katrina in 2005. The City is slowly recovering. Prior to Hurricane Katrina there were several casinos located in Gulfport, but currently they casinos there are undergoing new ownership. Downtown Gulfport is currently undergoing a major renovation which should bring some wonderful changes to the city. Coxwell & Associates owned an office in Gulfport at 1922 22nd Avenue for over 11 years. That location was sold and the law firm is currently using space with another lawyer until a new building is located. The attorneys at Coxwell & Associates have an active and vibrant law practice in Gulfport. They have “strategic alliances” with a number of other lawyers which permits them to provide immediate assistance to their clients. For over 30 years Coxwell & Associates have been providing legal services to people in Gulfport and all across the State of Mississippi. In today’s modern world it is easy for the attorneys from Coxwell & Associates to be in Gulfport or on the Coast in a matter of just a few hours to help and assist their clients. The Mississippi Gulf Coast Office does not accept walk-in but is open only by appointment.